The Congregational Sisterhood 0 28 October 2010. See note below. Photo courtesy of V. Hopkinson. This photo brought back lovely memories of aunt Edith and uncle charlie. Congregational Sisterhood 28th October 1964. 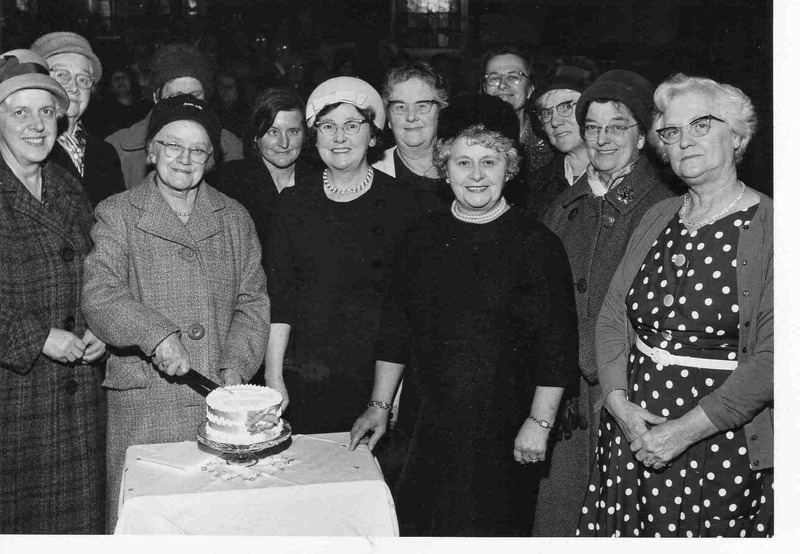 Front row: Mrs May Marshall, Miss Lily Bailey (the oldest member cutting the cake), Mrs Maggie Watson, Mrs Hilda Shimwell, Mrs Edith Rivington. Second row: Mrs Minnie White, Miss Joyce Fells, Mrs Ellis, Mrs Ruth Batty, ? ?, MrsAnnie Norwood, Mrs Janet Hopkinson.